Roundstays are used to attach your Tubus Rear Rack to the seat stays for support and stability. If your bike doesn’t have eyelets on the seat stays you can get a Tubus seat stay mounting kit in many different sizes to match your specific bike. The roundstays can be used in conjunction with the Tubus Roundstay Clamp Set, which attaches the roundstay to the body of the carrier. The 350mm roundstay is used when EXTREME distances need to be bridged. In most cases the 350mm is not the optimal tool for the job, but sometimes extreme happens! These 190mm Offset roundstays are used for special situations where the original straight Tubus roundstay doesn’t attach to the seat stays at the correct angle. 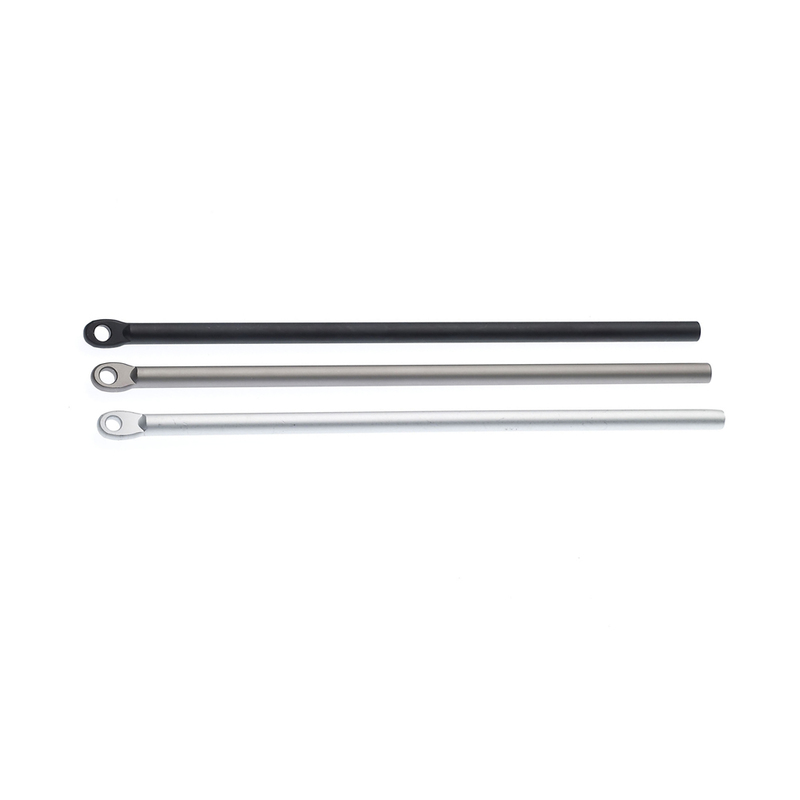 There are five different roundstay lengths available, with no offset (straight) or offsets of 5mm, 8mm, 12mm, or 35mm. When picking the correct one for your specific bike it is wise to make a template out of a coat hanger to decide which one will fit best. One Anodized Aluminum Round stay. I needed a longer set of stays for a Tubus rear rack install. Found them on your site and had them 3 days later. Problem solved!